West Royalty Home & School Association: Sign up and get the word out - Ford Drive One 4 Ur School is June 17th!! 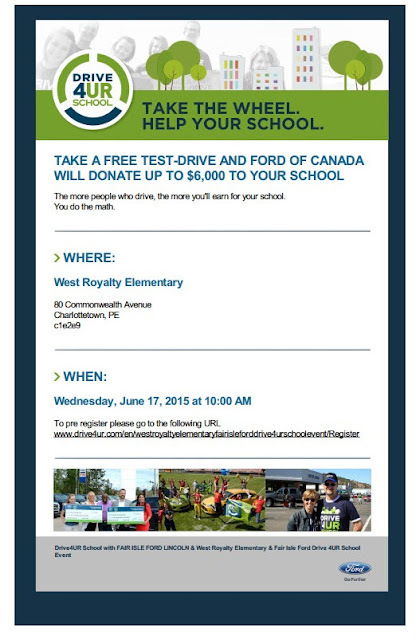 One advantage to the Drive 4 UR School and Drive 4 UR Community program is the flexibility. Groups can raise money for virtually any purpose, from sports to trips to computers, even school repairs in the event of natural disasters.